Teresa A. McGinity joined Hanna Brophy’s San Diego office in 2016. 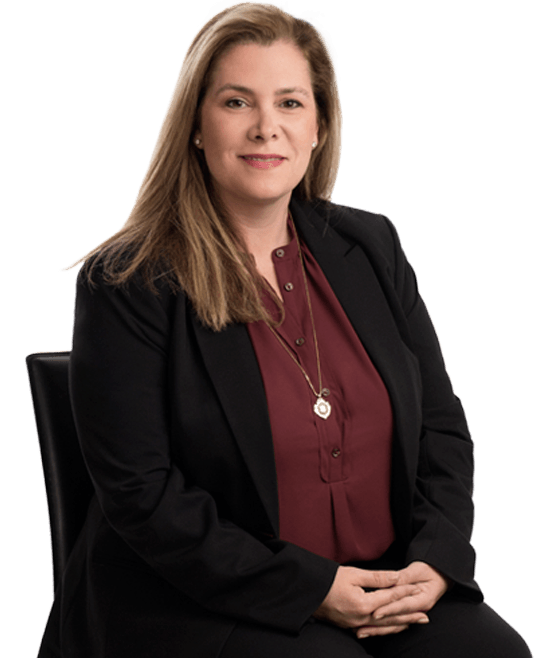 Ms. McGinity has 17 years of combined experience in workers’ compensation, employment, and labor law. Previous to joining our firm, she was in-house counsel in the advice unit at CalPERS for approximately 3 years, giving her a unique perspective on IDR cases. Ms. McGinity graduated from the University of California, Los Angeles in 1995 with a B.A. in English. She earned her Juris Doctor from the University of the Pacific, McGeorge School of Law in 1999 and is licensed to practice before all courts within the State of California, including the Ninth Circuit. Teresa represents self-insured private employers, public entities, and insurance carriers in workers’ compensation matters. She has extensive experience in the areas of CalPERS (IDR) cases, employment discrimination (including ADA and FEHA disability discrimination) matters, S&W allegations, and 132a claims. Teresa enjoys educating and lecturing in all aspects of workers’ compensation as well as its interaction with ADA and FMLA.